The divide between Marvel and 20th Century Fox is all to familiar to folks who love all things superhero movies. 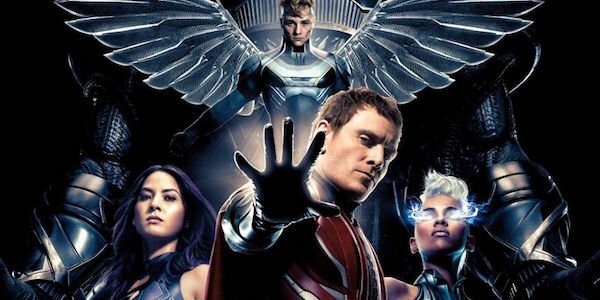 While Marvel Studios has most of their entire library to use in the Marvel Cinematic Universe, Fox still has a number of their own Marvel characters to use, namely the X-Men and Fantastic Four. Still, that can’t stop people from imagining movies featuring both sides in the same world, and for Alexandra Shipp, who plays Storm in the upcoming X-Men: Apocalypse, she wants to see a Black Panther/Storm crossover. I want that movie so bad. I’ve got a pitch, I’m like coming up with a vision board, I want this movie to happen. Honestly it doesn’t have to be me - if Chadwick [Boseman] was like, ‘You know what, I really want to do this with Halle [Berry],’ I’d be like yo, that’s fine at least make the movie. In the comics, T’Challa and Ororo met and fell in love when they were teenagers, but their relationship ended when T’Challa’s need to avenge his father’s death and become a man worthy of leading an entire nation became top priority. They continued to see each other on and off as adults, but after T’Challa helped her reunite with some of her long lost family, they grew closer again and eventually married. For years Storm co-ruled Wakanda as his queen, standing by his side during events like the Civil War. However, after the Avengers vs. X-Men story, where Storm sided with her X-Men allies and Black Panther with Earth’s Mightiest Heroes, T’Challa annulled their marriage due to feeling that the mutants were responsible for Wakanda being destroyed, though there were likely other issues at work there. Despite this ending, Storm remains arguably Black Panther’s most well known modern love interest, so seeing the two of them together on the big screen would please many fans. As it stands now, there’s no chance Alexandra Shipp’s Storm could team up with Chadwick Boseman’s Black Panther given the current dynamic between both movie studios. However, it sounds like Shipp is amenable to seeing anybody in the role of Storm so long as the story is told. Maybe if Marvel and Fox can someday work something out to merge these worlds together, other versions of Storm and Black Panther can finally cross over and travel down a similar path as their comic book counterparts. Alexandra Shipp’s Storm will debut when X-Men: Apocalypse arrives on May 27. Meanwhile, Black Panther can currently be seen in Captain America: Civil War, and his solo movie will be released on February 16, 2018.